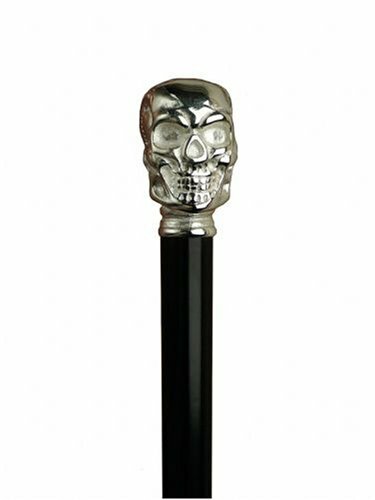 Walking Cane - Skull, this walking stick cane has a metal handle with chrome finish, Hardwood shaft. This walking aid has a a weight capacity of 250 pounds and 36 inches long of height. If you have any questions about this product by King Of Canes, contact us by completing and submitting the form below. If you are looking for a specif part number, please include it with your message.